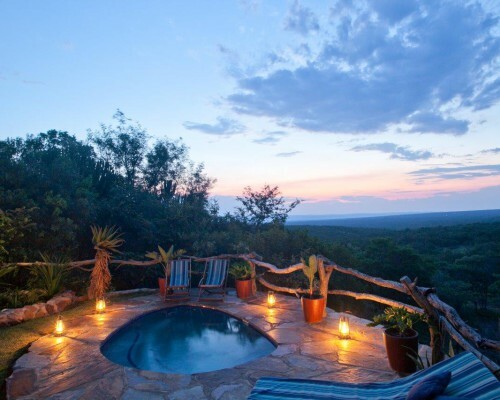 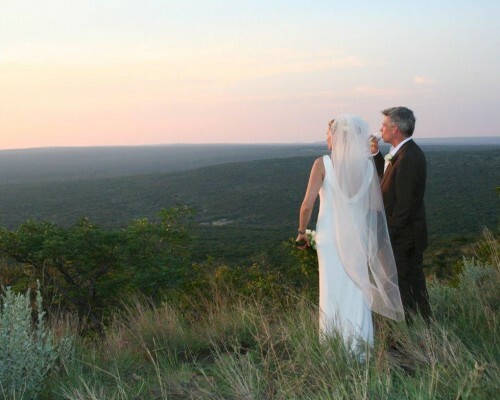 The Waterberg with its spectacular views is the perfect place to escape, this makes a wonderful wedding or honeymoon destination. 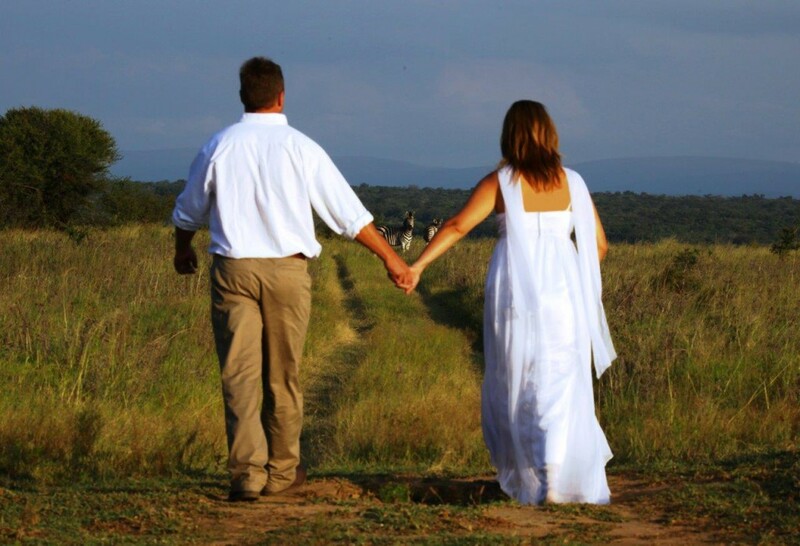 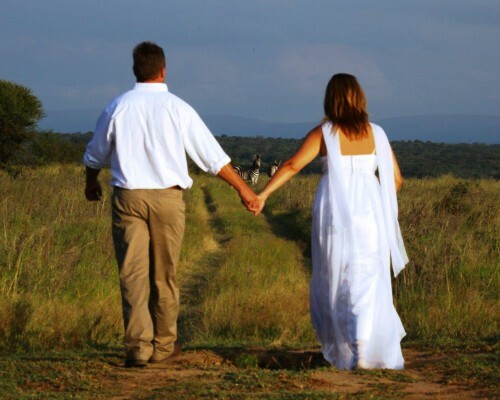 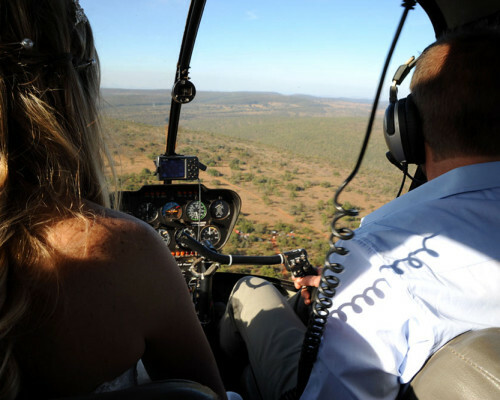 Combining your wedding or honeymoon with a Safari experience tailored to your personal desires is the perfect combination. 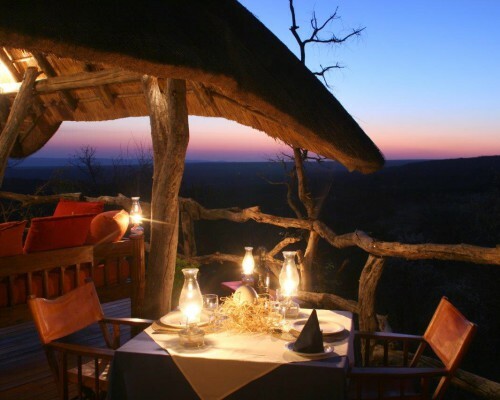 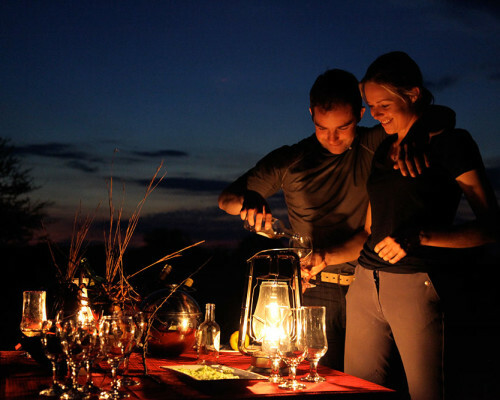 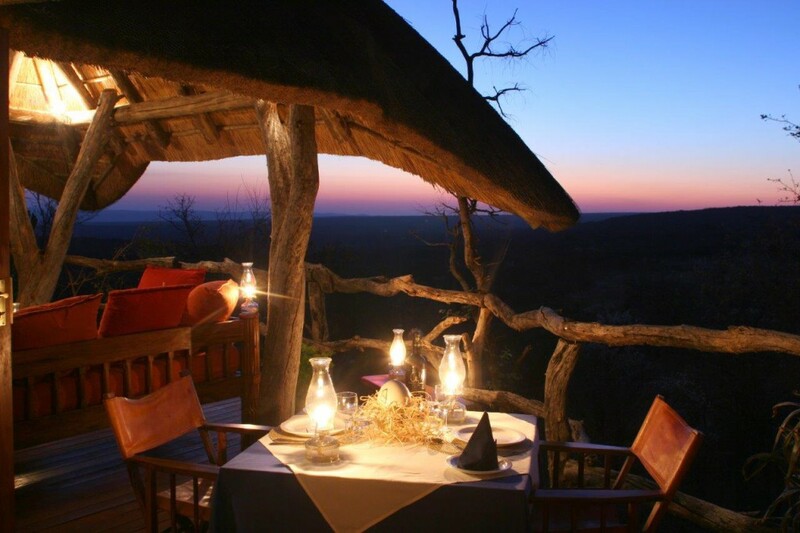 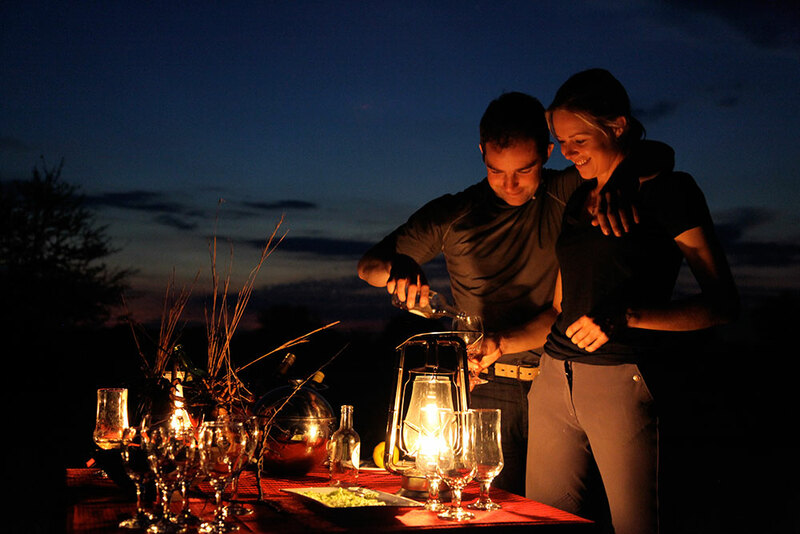 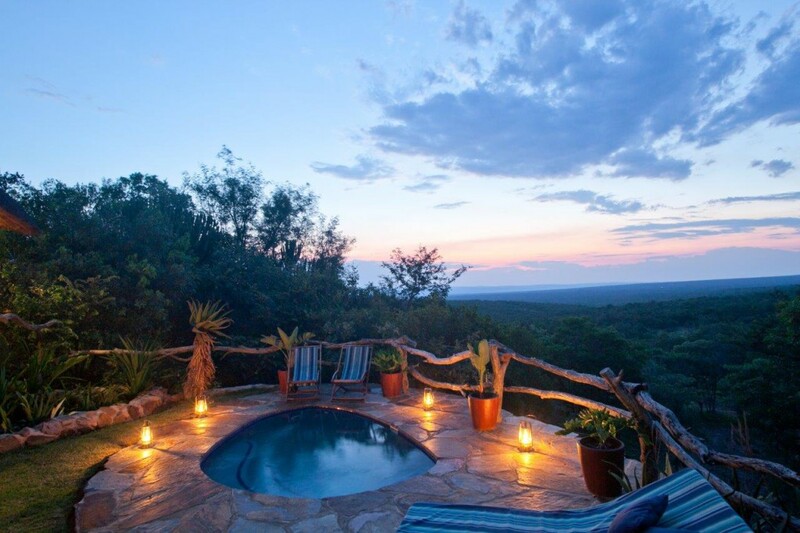 Romantic private dinners, bush lunches, sundowners and the opportunity to have your own private safari guide, make Ant’s lodges quite unique. 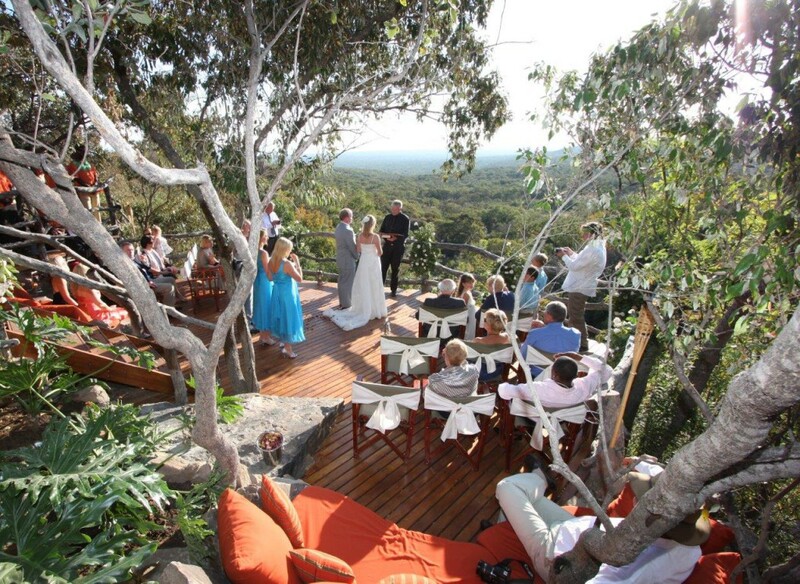 Get married on the top of a mountain or under a shady Acacia tree. 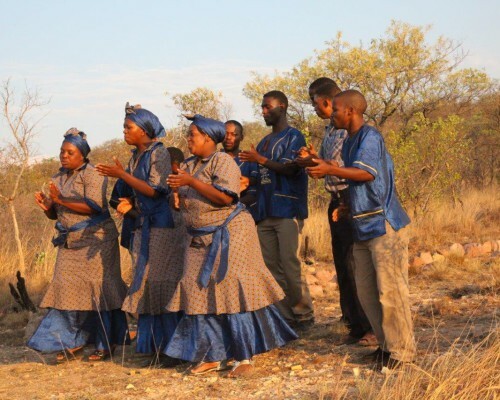 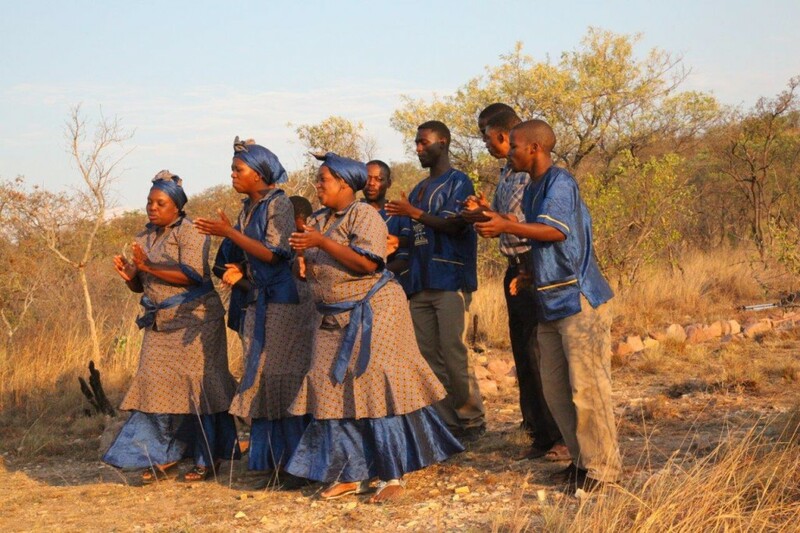 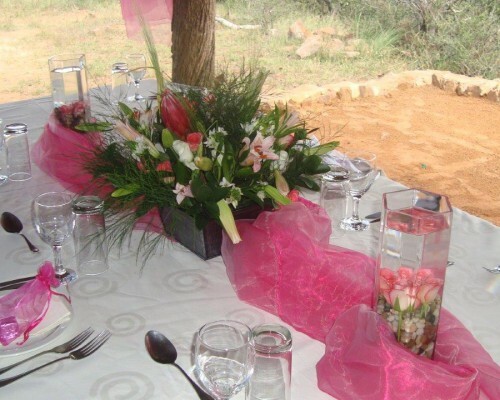 Those who would like a more traditional wedding, our pretty thatched church designed by Sir Herbert Baker in 1914 is situated in the middle of the bush and not far from the reserve. 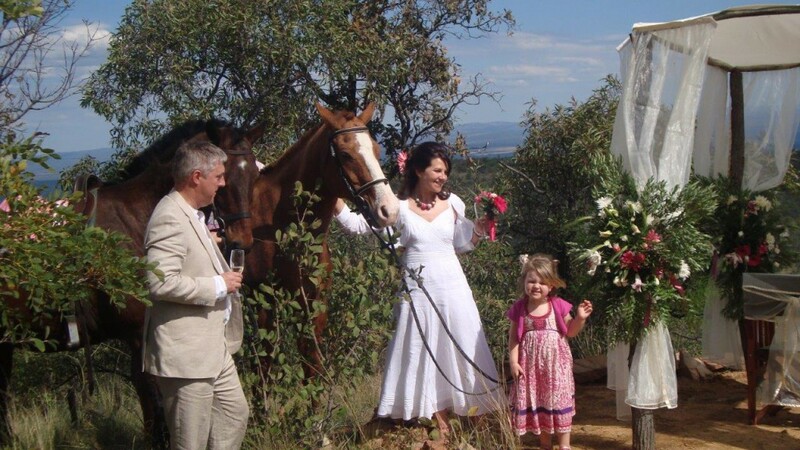 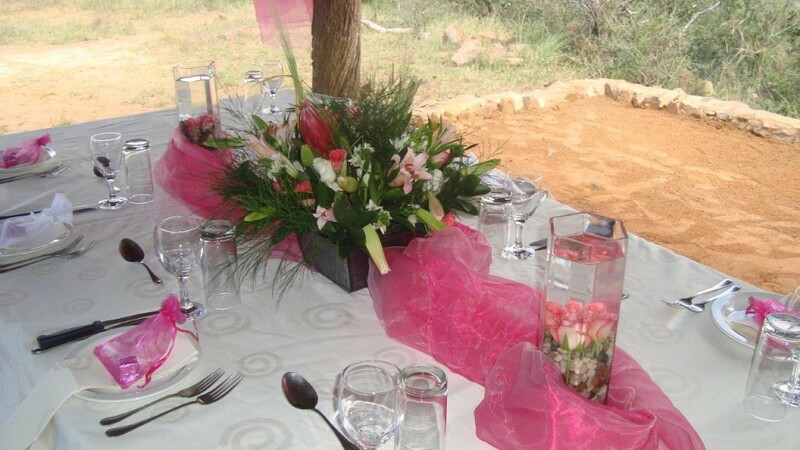 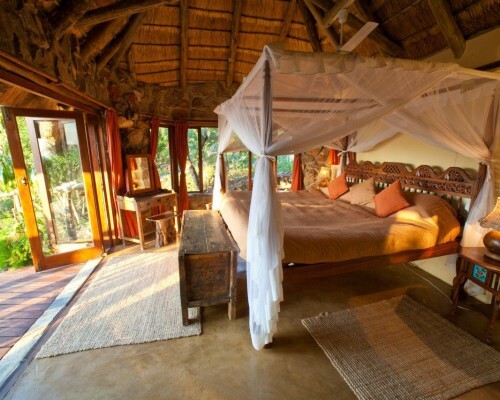 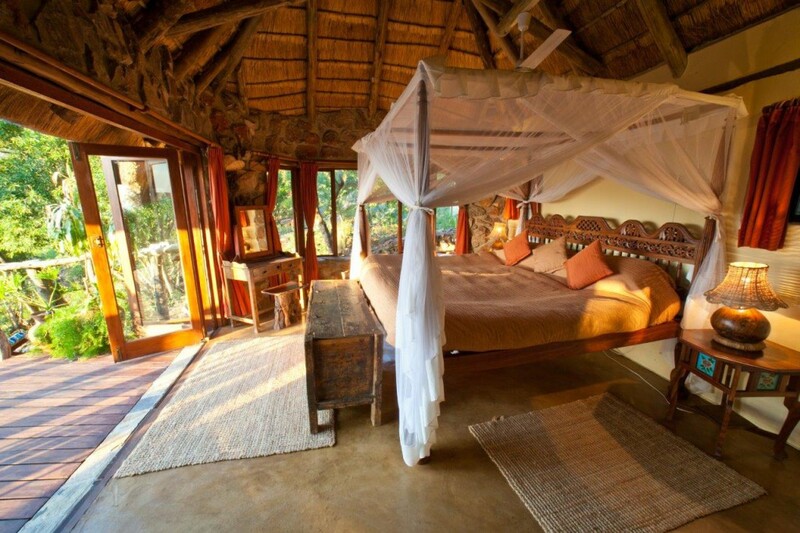 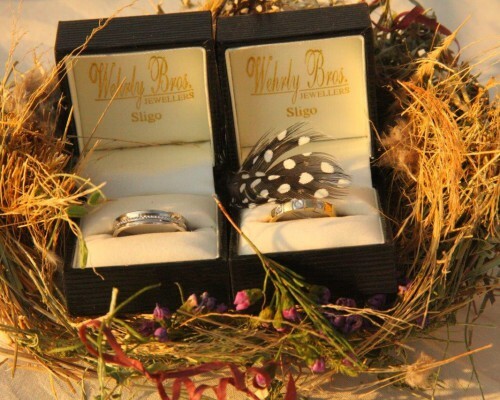 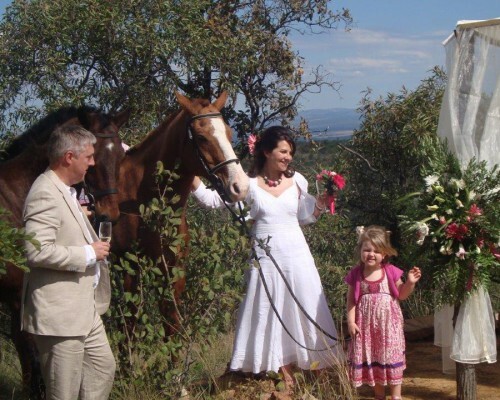 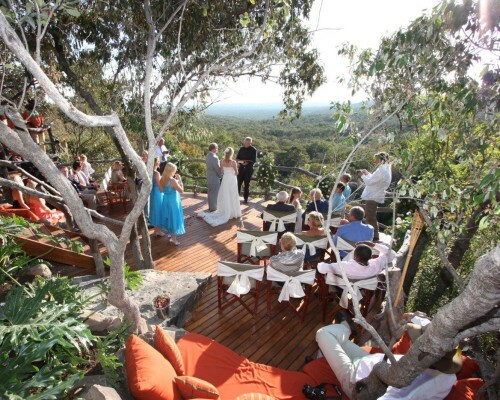 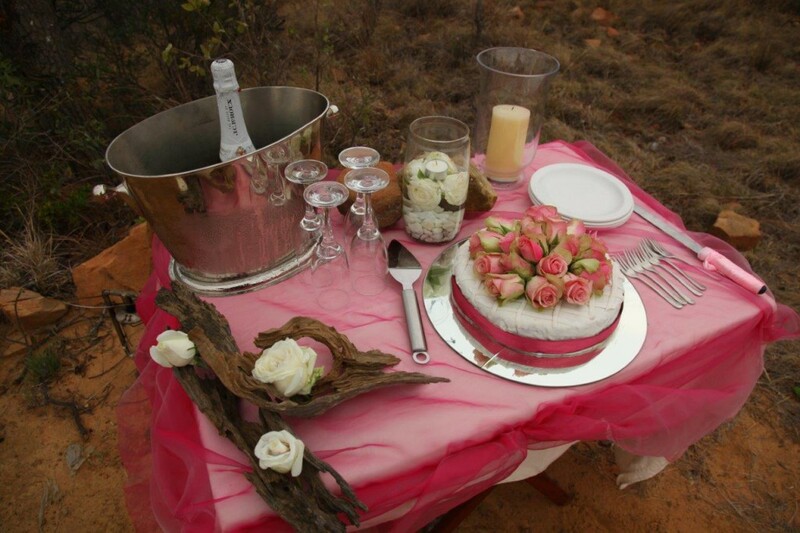 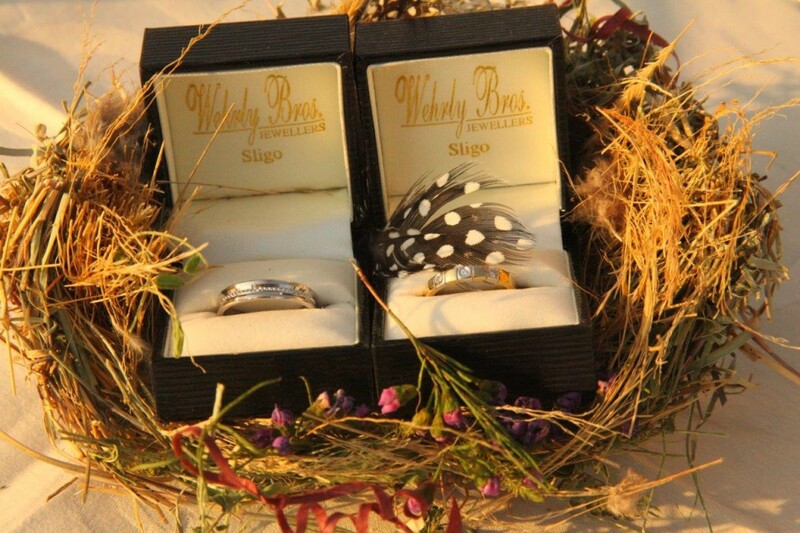 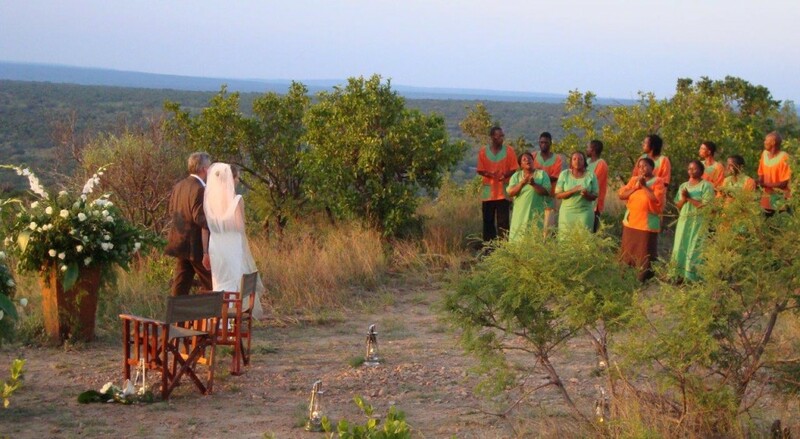 Bride and groom can come alone, or bring up to 28 guests if you book both bush homes. 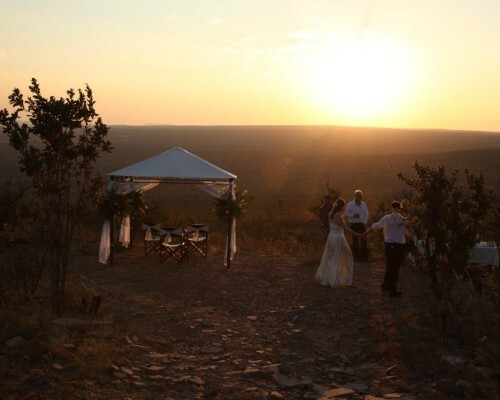 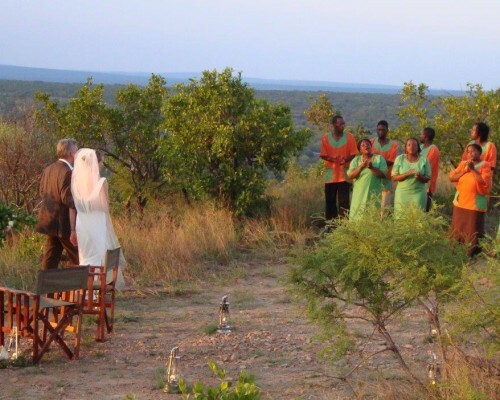 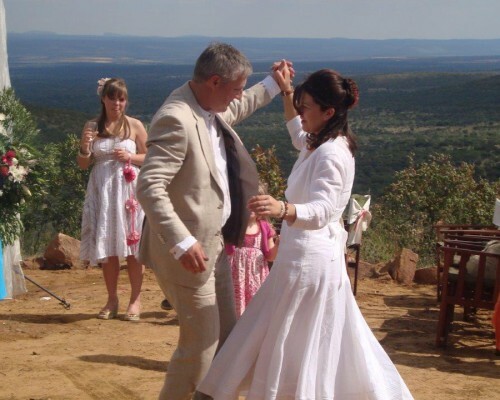 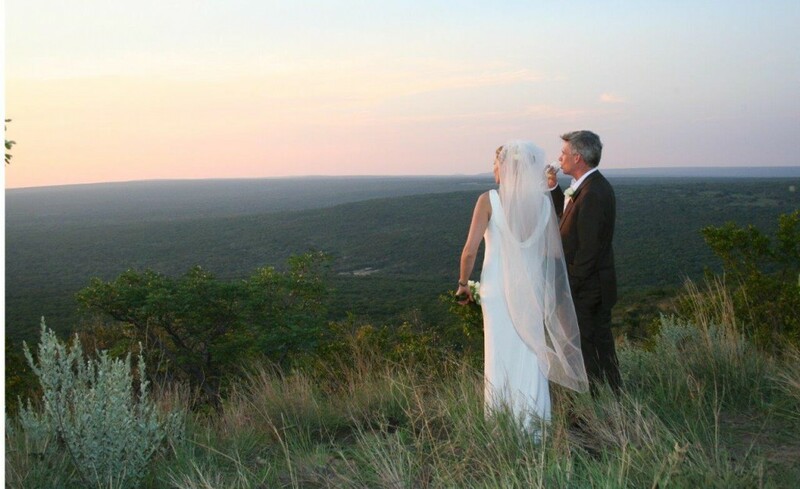 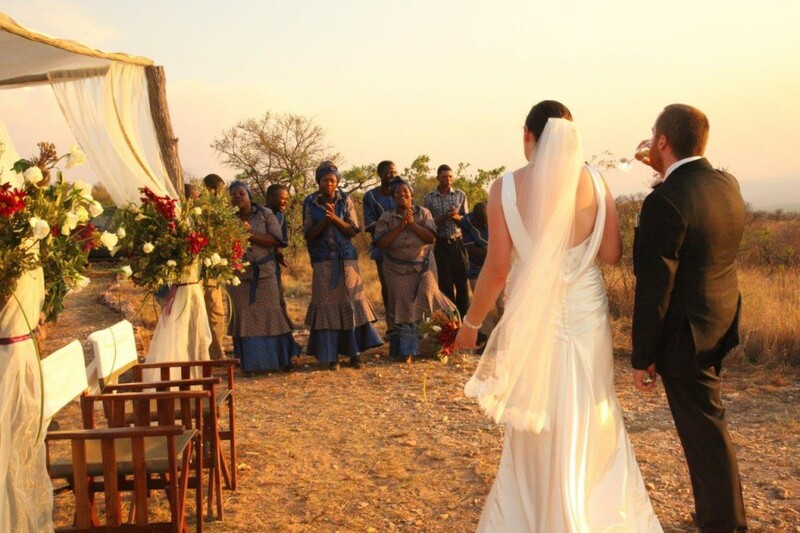 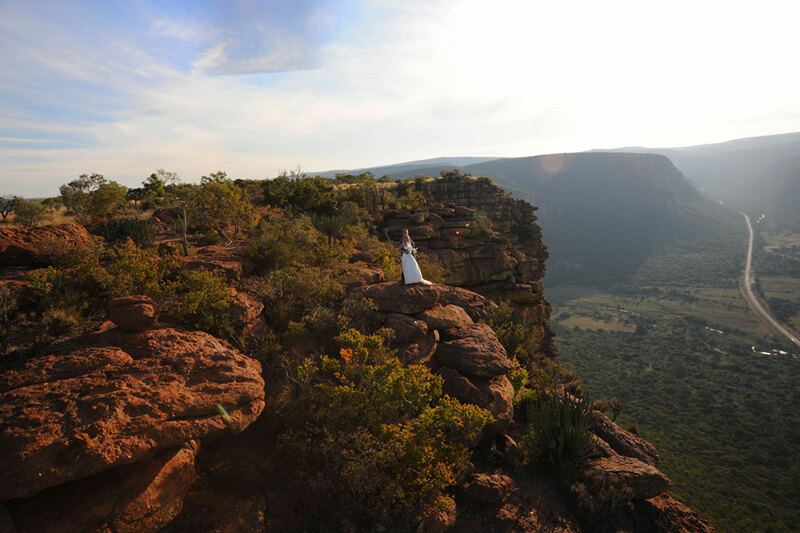 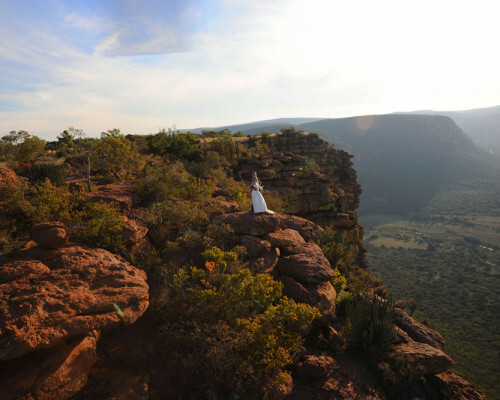 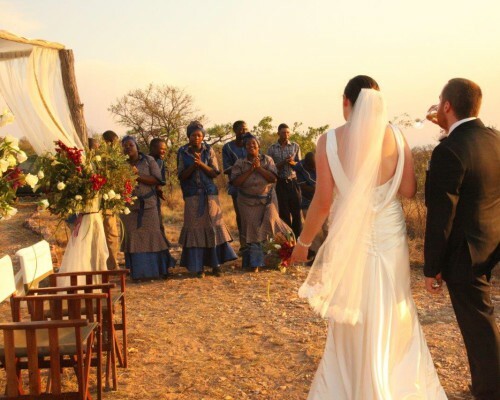 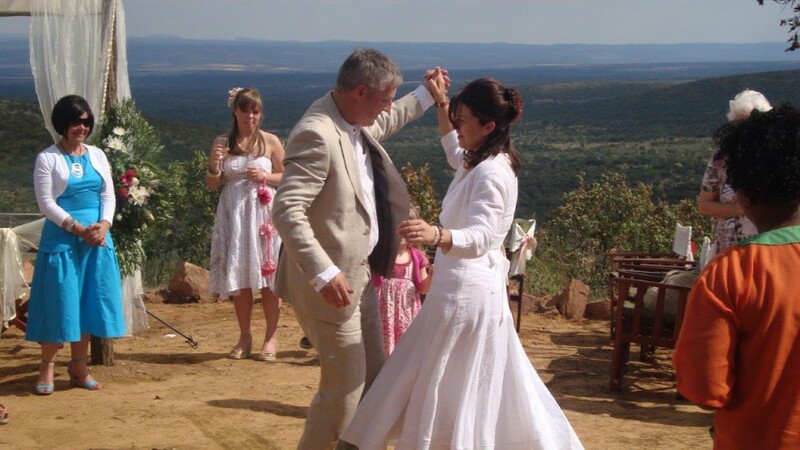 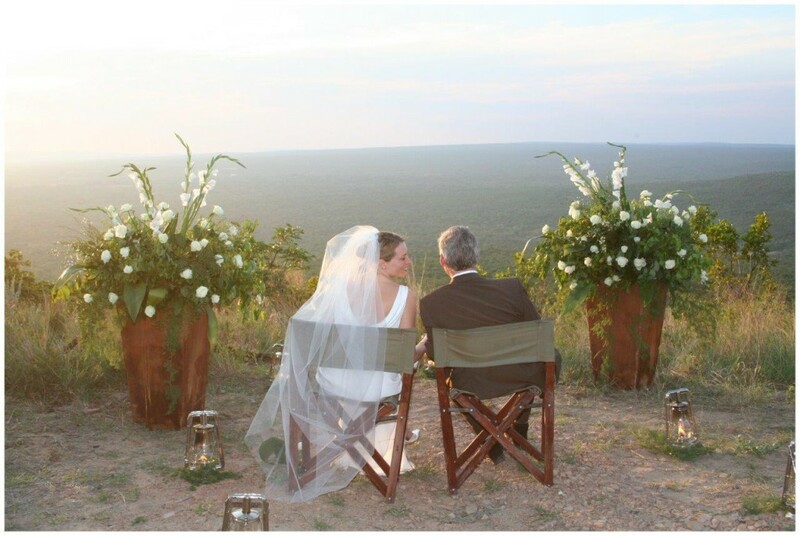 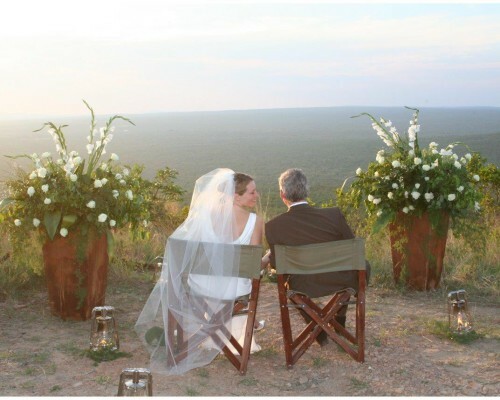 Choose either a late morning ceremony with spectacular views in the African sun, or late afternoon as the sun sets over the Waterberg, followed by a lunch/dinnertime celebration. 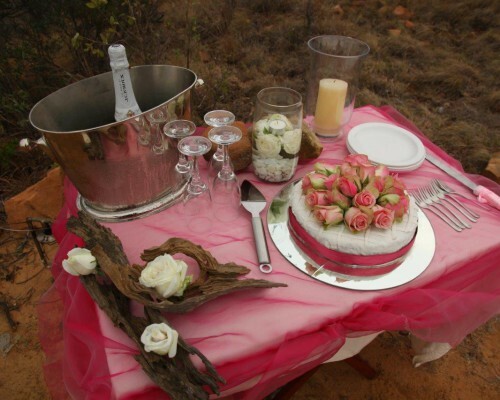 This could be served in the bush, on the deck of the lodge or on your own private verandah (depending on the size of the wedding party). 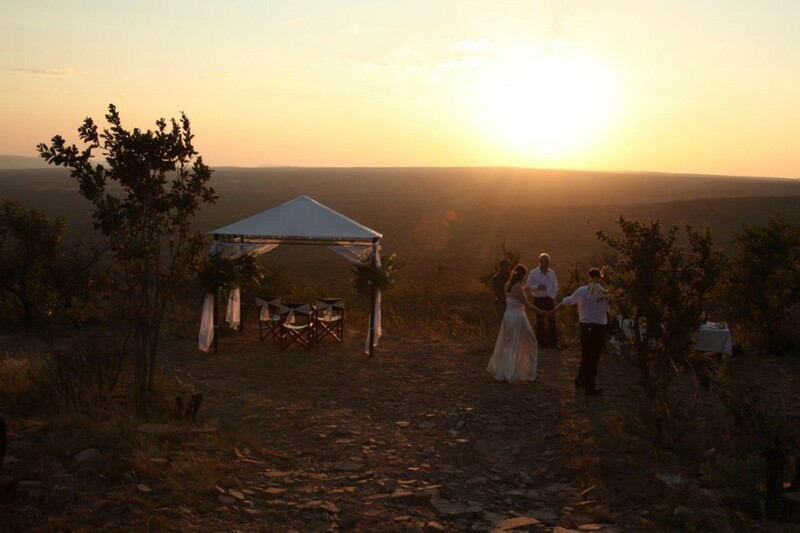 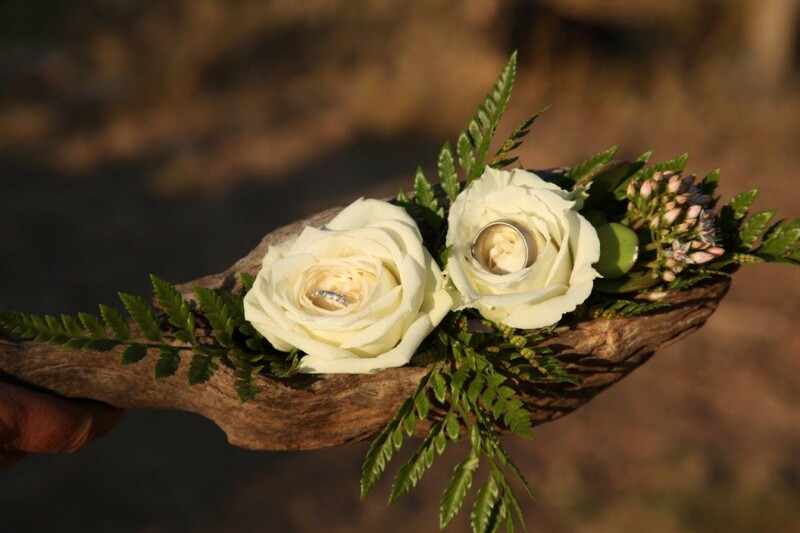 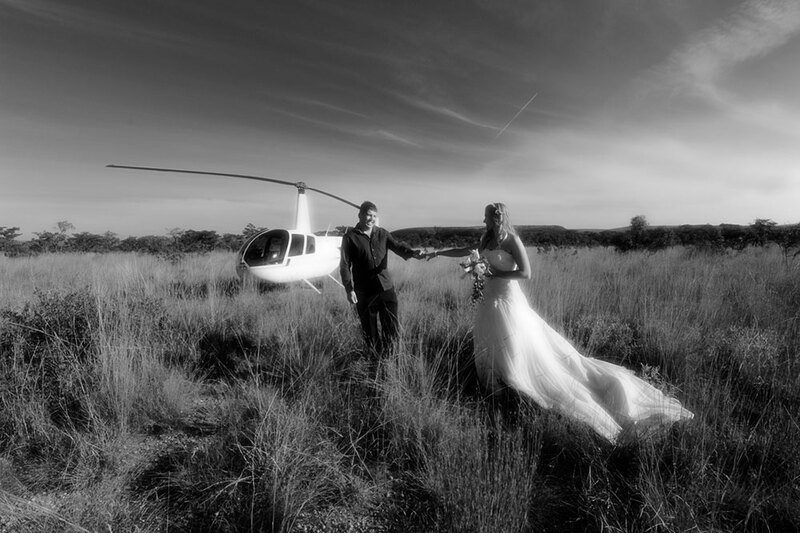 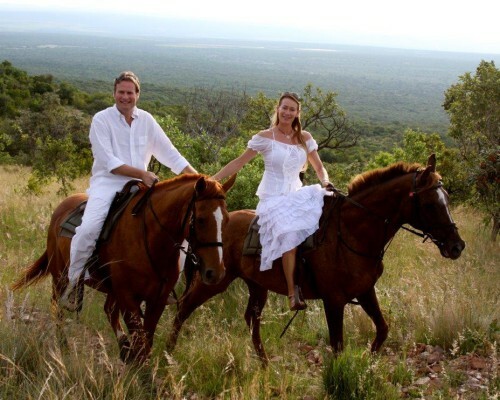 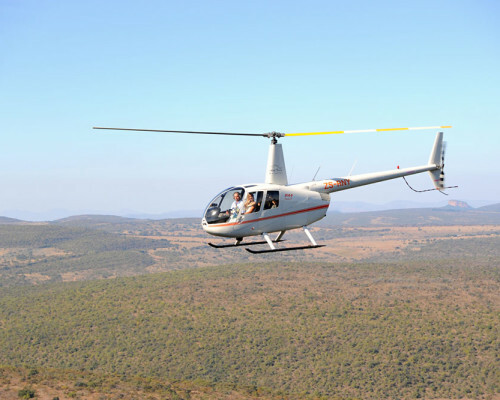 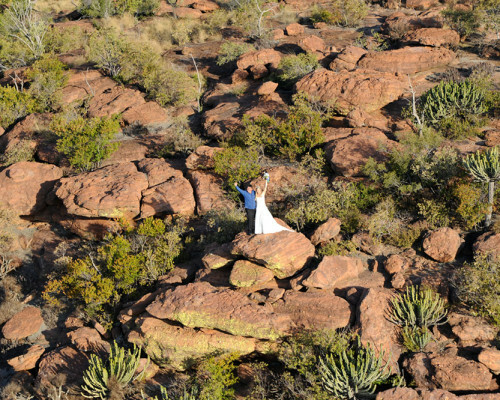 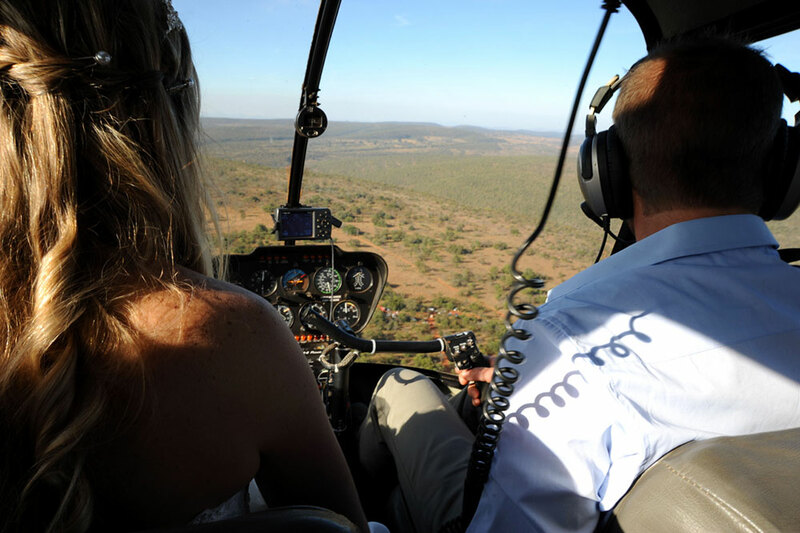 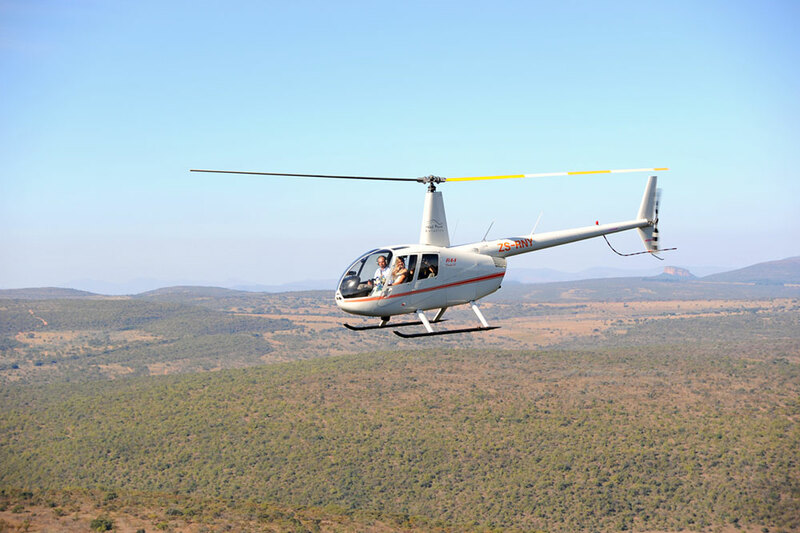 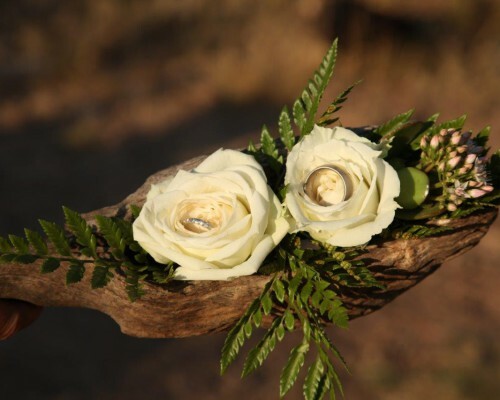 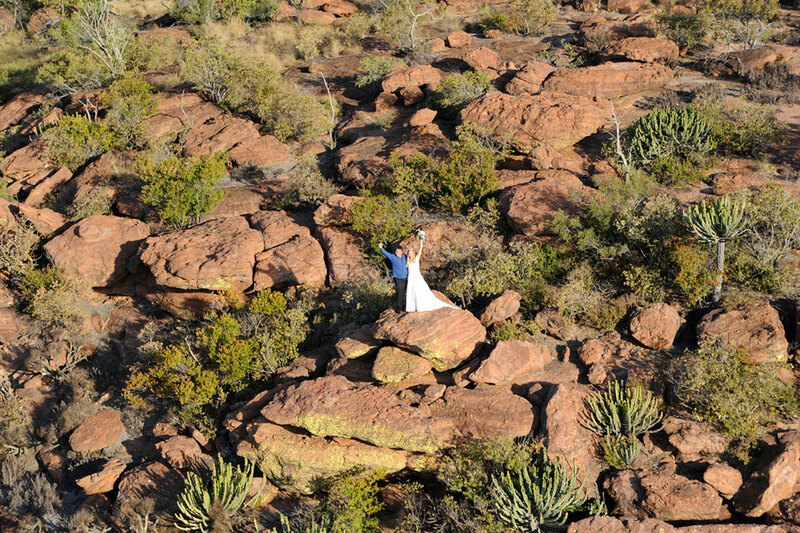 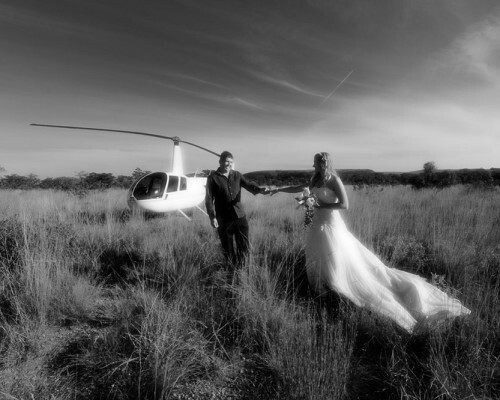 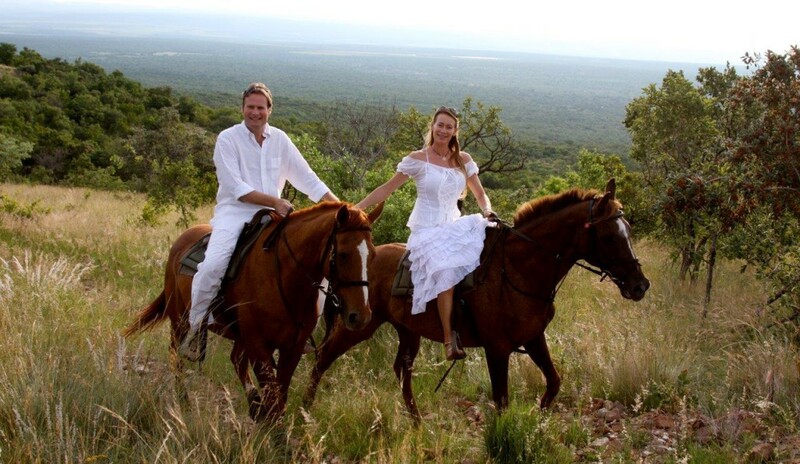 We are able to tailor each wedding to your individual needs and can arrange just about anything that you would like, from a local African Choir to a Helicopter flip across the Waterberg to having your champagne and photos taken on top of one of the highest peaks.